We’re struggling to keep up out here. 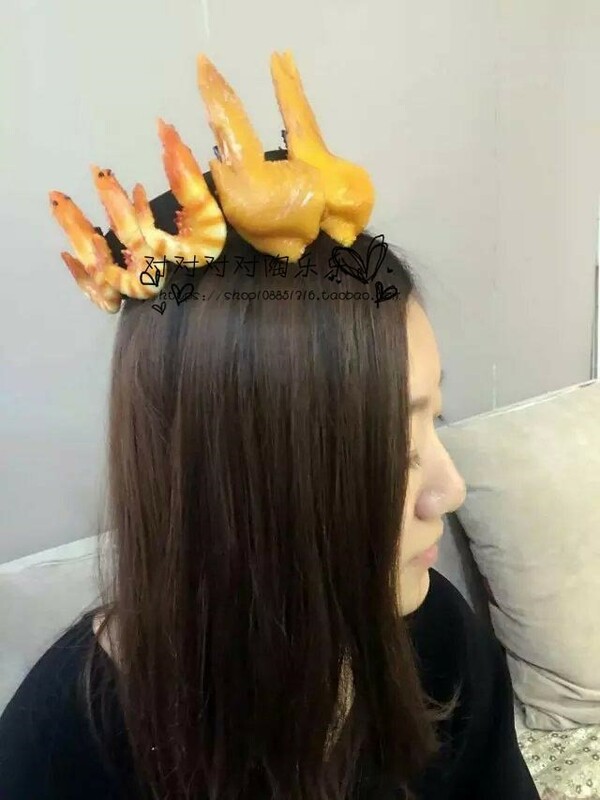 I’d only just received my Amazon delivery of plastic beansprouts to stick in my hair, but the moment they landed on my desk I found out that beansprouts were old news and in fact, plastic food clips – like little models of tempura prawns, fried eggs and dumplings – are now what everyone’s wearing. I’m worn out and I’m skint. 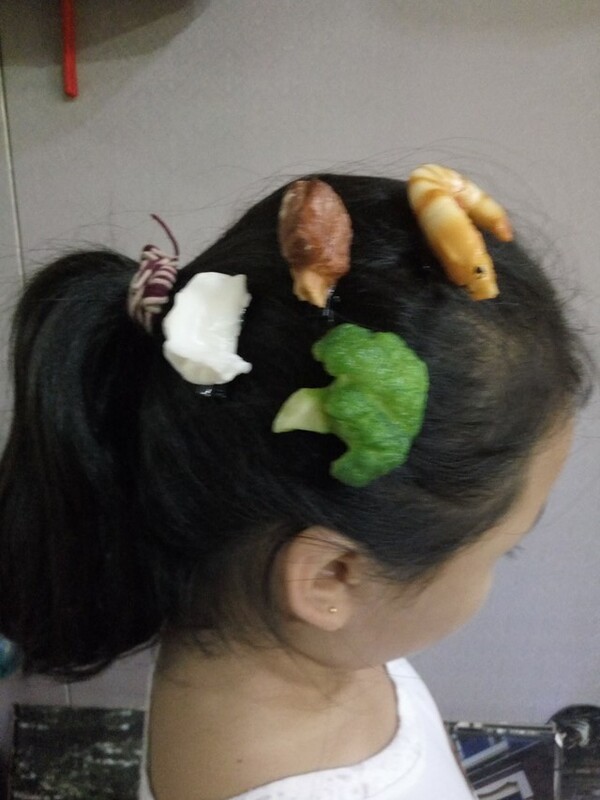 On popular online shop Taobao, over a million plastic beansprout clips were sold by just one vendor. But today that seller is eating unfashionable dust – plastic food clips are all the rage now and beansprouts are dead. See examples of the latest trend below, plus someone modelling them. 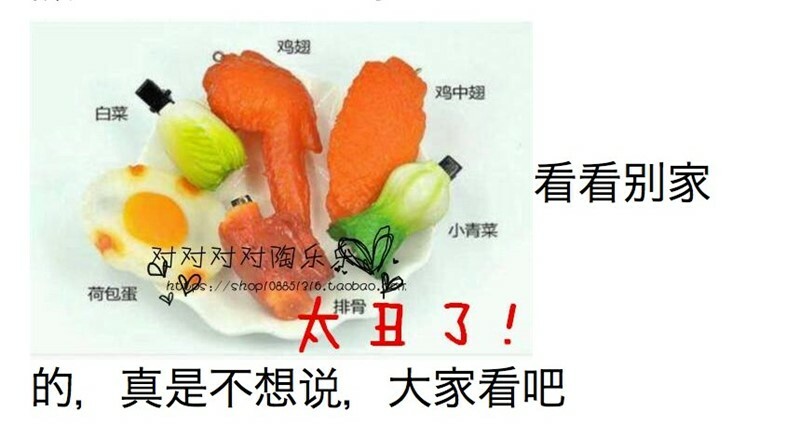 Of course, it isn’t just in mainland China that these new, strange internet-led trends are gestating. 180 kilometres north of China in Taiwan, wearing supermarket plastic bags as dresses has taken off in a big way. Here at Dazed, one of our writers coined the phrase #bagcore (yeah, that’s right), a homage slash send up of #bonnetcore, which is the Brooklyn-based movement of wearing bonnets, you know the medieval headgear? Digital artist Molly Soda is widely credited as being the inventor of #bonnetcore. Why has the world started getting into #fakefoodcore, #sproutcore and #bagcore? It’s starting to feel like a hoax, with a malevolent businessman orchestrating it all, convincing a gullible world that wearing plastic pork belly in your hair is a really really great thing to do. Anyway, I’m totally speculating here and there’s nothing worse than being left out – so until there’s confirmation that plastic food hair clips are a fashion trap I’m going to order about 20, which should hopefully see me through until next week when I’m wearing actual Big Macs on my head and checking Twitter to see if it’s still cool.